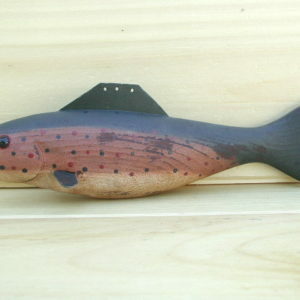 Remember the big one that got away? 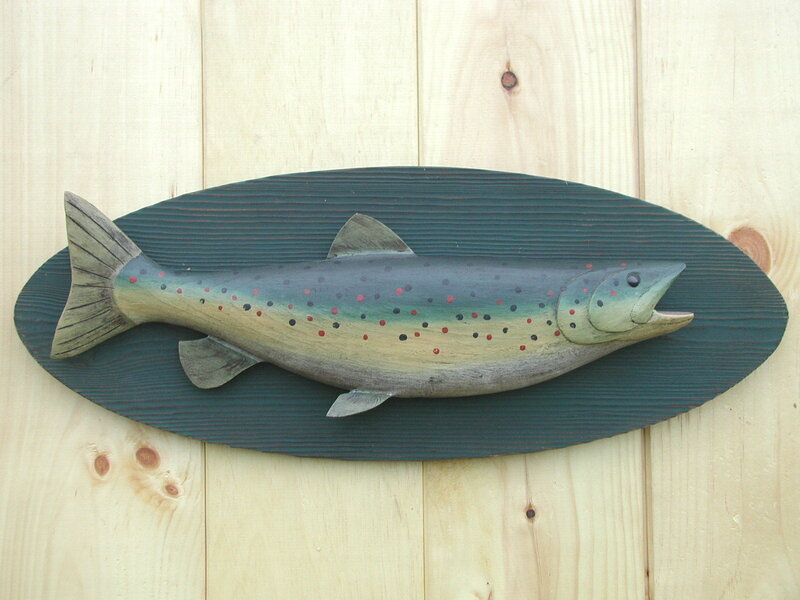 Our Brown Trout plaque would fulfill any angler’s dream. 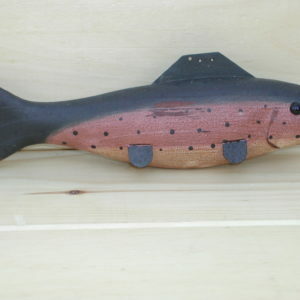 This would look great in a lodge or den, even over the fireplace. 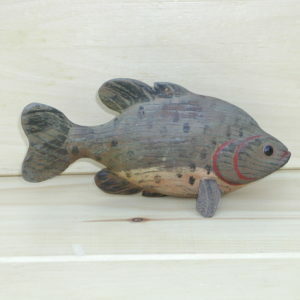 Features include black glass eye, carved gills and mouth with inletted wood fins. 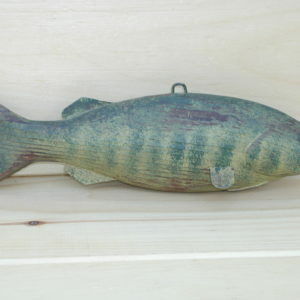 The fish is mounted on an oval green plaque that hangs on the wall. It measures apprx. 24″ long x 9″ high x 2 1/2″ deep.